Israeli police arrested Friday afternoon a Palestinian teenage girl for allegedly trying to stab an Israeli police officer at the entrance to Issawiya town. Israeli police spokeswoman Luba al-Samri claimed that policemen were able to "neutralize" a 15-year-old girl without opening fire on her after she tried to stab an Israeli police officer. The girl was arrested. Israeli police reinforcements immediately rushed to the area and opened an investigation into the incident. No Israeli police officers were wounded during the alleged attempt, according to al-Samri. Eyewitnesses reported that Israeli forces, stationed at the entrance to Issawiya, fired teargas bombs at locals who gathered near the area. 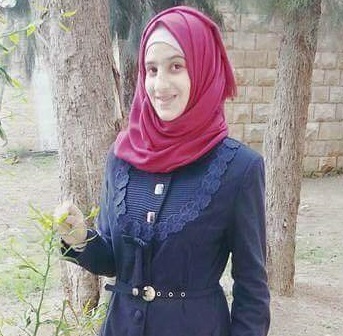 Palestinian sources identified the detained girl as Sundos Abid from Issawiya town. Earlier on Friday morning, a Palestinian young woman was arrested for allegedly possessing a knife in al-Khalil to the south of the West Bank. 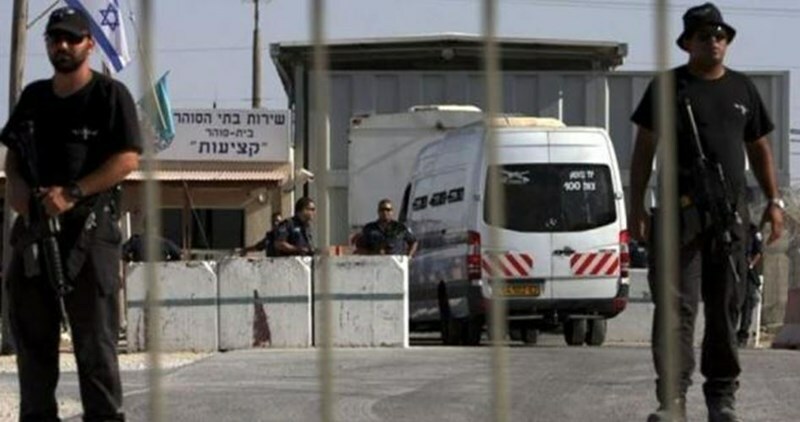 Prisoners Media Center revealed that an agreement has been reached between the Israeli Prison Service and the Captive Movement to remove Israeli punishments imposed on Palestinian prisoners affiliated with Hamas Movement two years ago. The agreement includes extending the family visits of Gaza prisoners from a period of 45 minutes to 75 minutes and allowing access to five TV channels instead of three. The agreement also includes increasing the prisoners’ canteen cash credit to 800 shekels instead of 600 per month and achieving a number of humanitarian demands including transferring the sick prisoner Bassem Sayeh to Eshel prison in which his brother is held. Palestinian prisoners affiliated with Hamas Movement have earlier declared a set of escalatory steps in protest against Israeli penal measures imposed against them two years ago. The Israeli Occupation Forces (IOF) arrested Friday morning a Palestinian young woman for allegedly possessing a knife in al-Khalil to the south of the West Bank. 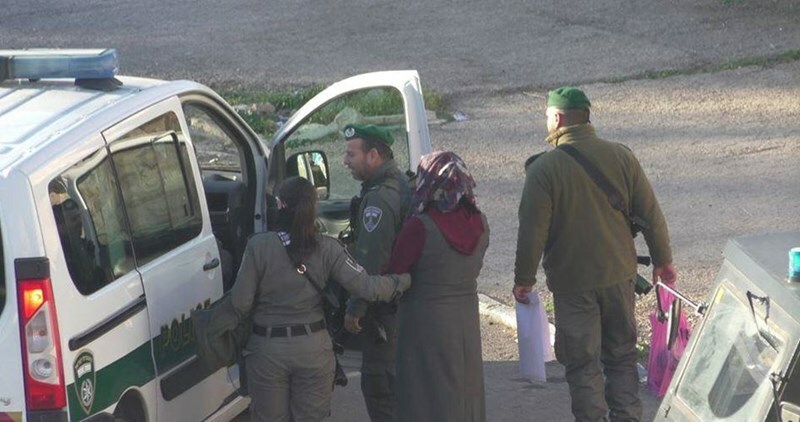 Israeli media sources claimed that a Palestinian young woman was arrested near Tel Rumeida neighborhood in the southern West Bank city of al-Khalil before being taken for investigation. Israeli forces have detained dozens of Palestinians for allegedly possessing knives in recent months since the beginning of October last year. In the same period, more than 185 Palestinians have been shot dead by the IOF, raising international concerns over the excessive, even extreme, use of force against Palestinians. Israel says the majority of those killed were attempting to attack Israelis when they were shot or arrested, although Palestinians and rights groups have disputed Israel's version of events in a number of cases. Israeli forces have carried out a series of unlawful killings of Palestinians using intentional lethal force without justification, said Amnesty International, based on the findings of an ongoing research trip to the West Bank, including East Jerusalem. The organization has documented in depth at least several incidents in which Palestinians were deliberately shot dead by Israeli forces when they posed no imminent threat to life, in what appear to have been extrajudicial executions. 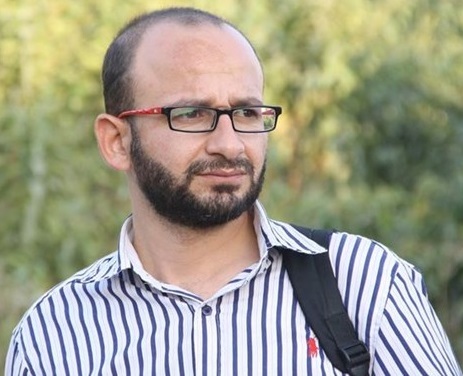 The Israeli Occupation Authorities (IOA) extended Thursday the arrest of the Palestinian journalist Sami Sa’ai, from Tulkarem, for further investigation. The detained journalist’s wife Amani Jandab affirmed that Salem military court extended her husband’s arrest for seven days for allegedly "preparing an indictment against him." Israeli forces arrested Sa’ai, 35, on March 9 after storming and violently searching his family house for “inciting violence” on Facebook. 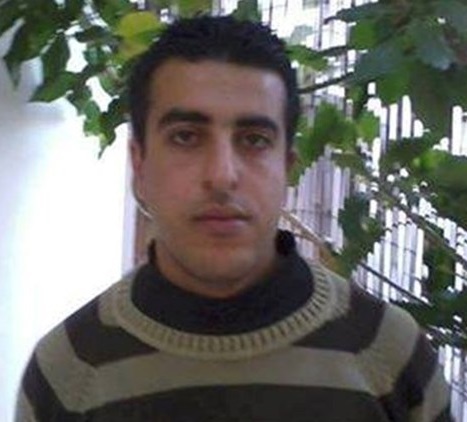 He was then taken handcuffed to Hawara military camp south of Nablus. 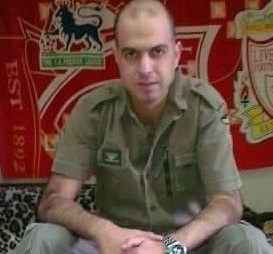 Sa’ai was moved last Tuesday to a solitary confinement cell in Megiddo prison for unknown reasons, his wife revealed. A court session is scheduled to be held next Wednesday to decide over his charge, the wife continued. "I’ve just exercised my journalistic work in a professional way", the wife quoted her husband as commenting over the Israeli charge of incitement. Sami Sa’ai, who works as an editor in al-Fajer al-Jadid TV channel, was first arrested in 1997 where he held in Israeli jails for four months. Israeli forces detained at least 22 Palestinians on Thursday including a woman and three minors across the occupied Palestinian territory in overnight raids, according to Palestinian and Israeli sources. The Palestinian Prisoner’s Society said in a statement that Israeli forces detained Issa Abdul-Qudos, Omar Abu Isaac, Sufian al-Natshah, Khalil Abbassi, 59, Abdul-Azizi Abbassi, 57, Fadi al-Juba, and Hanadi al-Halawani from the Jerusalem area. In the village of Silwad and al-Jalazun refugee camp in the central West Bank district of Ramallah, Israeli forces detained Musab Ahmad Hamned, Waleed Dawood Hammad, Ameer Majdi al-Rumhi, and Muhammd Mahdi al-Rumhi. Israeli forces also detained Yasser and Hazem Muhammad Amarnah and Fursan Khaled Amarnah from the northern West Bank district of Jenin. In Nablus, Israeli forces detained Osama Mousa Fadel and two minors Ayhamd Dawood Dwiqat, 16, and Ahmad Ayman Qanaze, 15. Israeli troops also detained Salwa Jamal Fakhri Hayyan,14, from the southern West Bank district of Bethlehem and Imad Suliman Khuli, 24, from Qalqiliya in the northern West Bank. 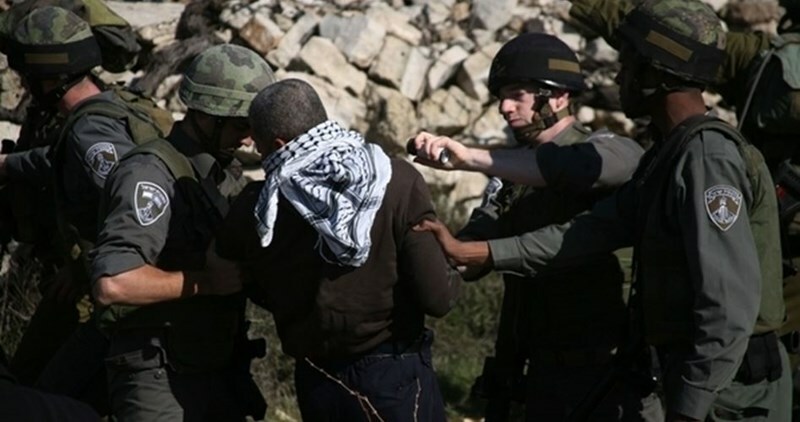 Bilal Rajab and Musallam Ishtiya were detained in the northern West Bank district of Salfit. 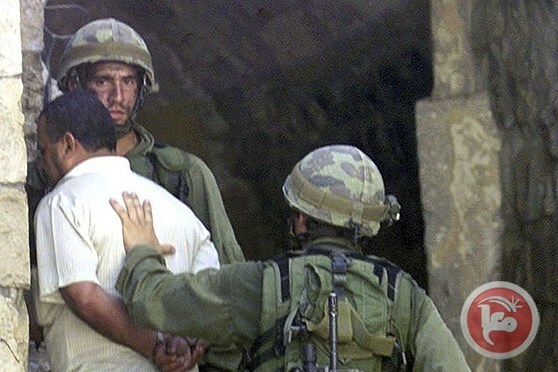 Israeli troops also detained Sufian Tureky Bahar, 44, from Beit Ummar in the southern West Bank district of Hebron. A spokesperson from the Israeli army told Ma’an a total of 15 Palestinians were detained overnight Wednesday for “illegal activities” -- one in Hebron, one in the Bethlehem area, seven near Ramallah, two in the Qalqiliya district, and three in the northern West Bank district of Tulkarem. The overnight raids come as Palestinians face severe movement restrictions, as Israeli authorities shut down all movement through checkpoints in and out of the occupied West Bank and Gaza Strip for the Jewish holiday of Purim. Israeli forces routinely detain Palestinians throughout the occupied West Bank and East Jerusalem, often on the pretext of perceived security threats. The UN Office for the Coordination of Humanitarian Affairs has recorded a weekly average 94 search and arrest operations by Israeli forces into the West Bank since the beginning of 2016. According to prisoners' rights organization Addameer, at least 7,000 Palestinians were held prisoner by Israel as of February, 406 of them minors, and 108 under the age of 16. The Israeli Occupation Authorities (IOA) moved the former hunger striker Muhammad al-Qeiq from Afula Hospital to Ramla prison hospital on Thursday, family sources revealed. Al-Qeiq’s wife Fayha Shalash told a PIC reporter that her husband was transferred Thursday afternoon to Ramla prison hospital, pointing out that he is still undergoing medical treatment for recovery from a grueling 96-day hunger strike. Al-Qeiq’s transfer to Ramla prison hospital came without any prior notice and he was not allowed to take his personal belongings, Fayha added. The 33-year-old journalist initially went on hunger strike in late November to protest the torture and ill-treatment he faced in Israeli custody, but his protest quickly developed into another bid to challenge Israel's use of administrative detention -- internment without trial or charge. 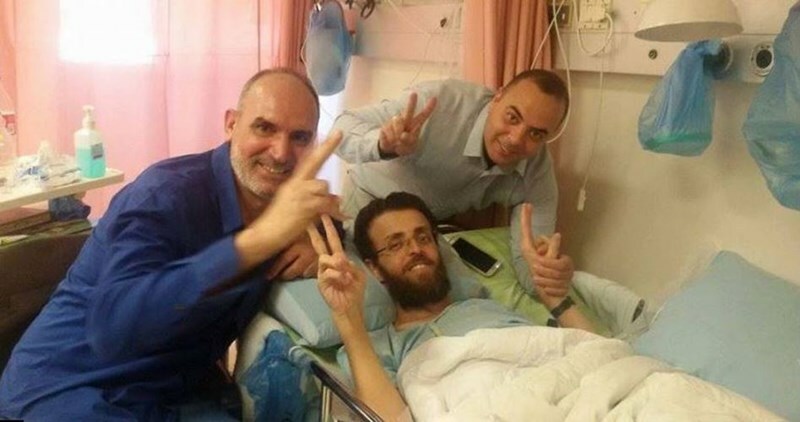 After being in critical condition for weeks, with doctors and rights groups repeatedly warning that he has stood on the cusp of death, his lawyers struck an eleventh hour deal with the Israeli authorities, pushing the date of his release to May 21. Meanwhile, the Palestinian Prisoners Society (PPS) warned of the seriousness of health deterioration of the prisoner Bassem al-Sayeh, from Nabus, who suffers from cancer and heart disease in addition to pneumonia. The PPS revealed that Israeli authorities allowed a doctor to visit al-Sayeh and to check on his health situation next week. Al-Sayeh, 43, was arrested by Israeli forces on October 8, 2015. Israeli prison management transferred the Palestinian captive Samer Abu Kuwaik, from Ramallah, to Afula hospital after his health condition had deteriorated. Lawyer of Palestinian Prisoners Society visited Abu Kuwaik, who has been arrested since 2002 and sentenced to life imprisonment for three times and additional 25 years, at hospital on Thursday and revealed that he is suffering from acute inflammation in the guts. He underwent a surgery a few days ago but he is in need to stay for more days in hospital, she added. Israeli doctors said that they will decide later on whether there would be a need to conduct another surgery to cut a part of his intestines or not. Israeli magistrate court of Occupied Jerusalem on Thursday extended the detention order against a Jerusalemite teacher at the Aqsa Mosque Hanadi al-Halawani to next Sunday. The Jerusalemite sit-inner at the Aqsa, captive Halwani, was arrested on Wednesday right from the Israeli court while she was attending the trial of the other Jerusalemite sit-inner Sahar al-Natsheh. 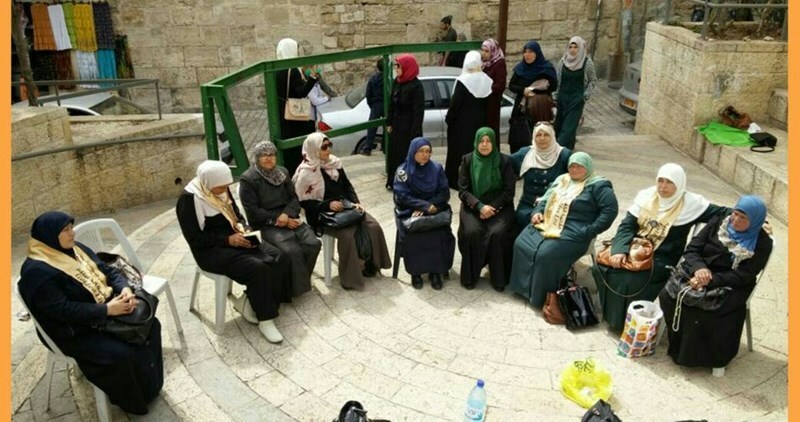 At noon Thursday, Israeli forces arrested another Jerusalemite woman, Fatina Hussein, 62 years old, while she was studying the Holy Quran with other Jerusalemite women at the Damascus gate at the Aqsa Mosque. She was transferred to al-Qishaleh police center for investigation. The three captives as well as many others have been barred from entering the Aqsa Mosque by Israeli forces for seven months without any legal justification. The Israeli police forces arrested on Thursday four Palestinian youths and an elderly woman from different areas in occupied Jerusalem. Local sources said that Israeli forces arrested two boys after violently breaking into al-Issawiya town amid heavy firing of tear gas bombs. One of the two detainees was placed in administrative detention for six months, his family said. Along the same line, two more youths were arrested after being brutally attacked and severely beaten in the occupied city. The elderly woman Fatina Hussein was also arrested near al-Aqsa Mosque and taken to Qushleh police station for investigation. Four Jerusalemite detainees’ detention was extended on Thursday after being arrested two days ago in the Old City. Israeli soldiers shot and killed, on Thursday morning, two young Palestinian men, in the southern West Bank city of Hebron, allegedly after they attacked Israeli soldiers, mildly wounding one. According to the army, the soldiers opened fire on the two Palestinians, and killed them, after they stabbed one soldier in Tal Romeida neighborhood. 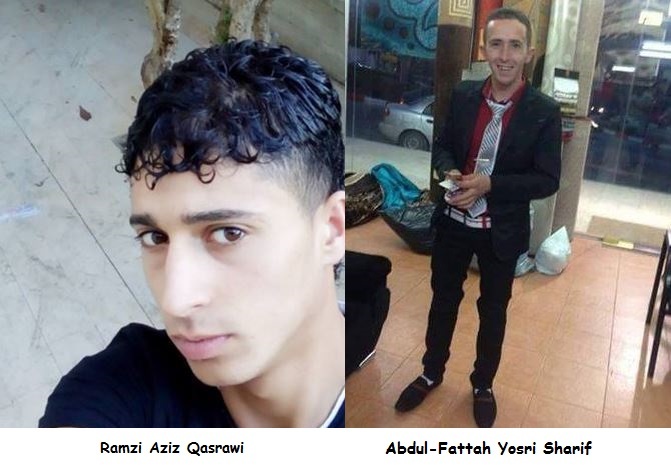 They have been identified as Ramzi Aziz Qasrawi, 21, and Abdul-Fattah Yosri Sharif, 21. Eyewitnesses said the soldiers opened fire at random, wounding several Palestinians who were walking in the area during the reported attack. Talking to Maan News, an eyewitness said he heard the gunshots, stepped out of his home and saw several soldiers surrounding the two wounded Palestinians as they were on the ground, bleeding, before a soldier walked close to one of them, who was still moving, and shot him in the head. Israeli media sources said the incident took place near a military roadblock in Tal Romeida neighborhood, in Hebron city. Israeli medics of the Magen David Adom said the soldier was attacked at the entrance of Tal Romeida, and suffered moderate stab wounds in his arm and shoulder, before he was moved to a hospital in a stable condition. The army closed the Shuhada roadblock, completely sealed the Shuhada Street, and prevented Palestinian medics, who rushed to the scene, from reaching the two Palestinians. It is worth mentioning that the army has killed 61 Palestinian, in Hebron, since October 1st, 2015. Earlier on Thursday, the soldiers invaded Beit Ummar town, north of Hebron, and kidnapped a former political prisoner, identified as Sufian Zaki Odah Bahar, 44, after breaking into his home and searching it. Bahar is a director of the Beit Ummar Society for Orphans. The army also summoned Mohammad Mahmoud Awad, 26, Issam Mohammad Bahar, 19, and Mohammad Abdul-Jawad Ekhlayyel, 24, for interrogation in the Etzion military base. It is worth mentioning that the army has kidnaped fifteen Palestinians, in different parts of the occupied West Bank, on Thursday at dawn; three were kidnapped in Ya’bad near Jenin, one in Nablus, two in Salfit, seven in Ramallah and two in Hebron. 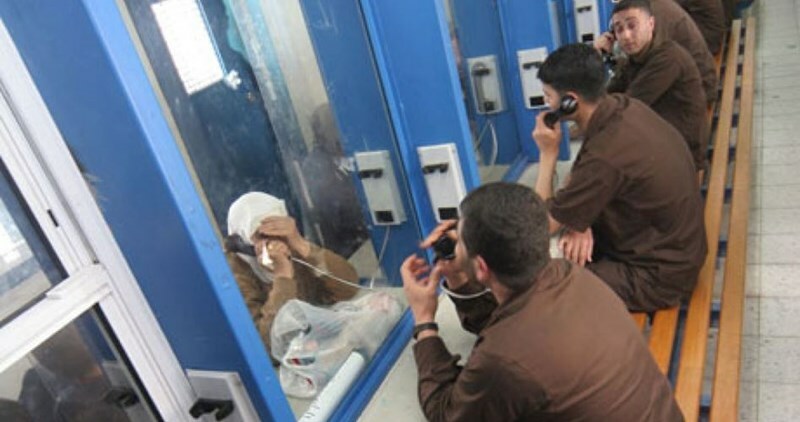 A report issued by Doctors for Human Rights organization revealed a significant increase of isolation or solitary confinement usage by Israeli Prison Service (IPS) over the recent years. According to Haaretz Israeli newspaper, Wednesday issue, the data presented by IPS to Doctors for Human Rights organization showed that the cases of isolation among Palestinian prisoners rose from 390 captives who were isolated in 2012 to 750 detainees isolated in 2014. According to the report, Israel practices the isolation policy under many justifications despite the judicial decisions that restrict its usage. Lawyer of Palestinian Prisoners Society revealed that the health condition of the injured captive Mamdouh Amer, 27, from Doura town in al-Khalil has become very serious as he is held in the Intensive Care Unit (ICU) at an Israeli hospital. The lawyer quoted Israeli doctors at the hospital as saying that detainee Amer suffers from bacterial infection all over his body due to his injury in the leg and that he is unconscious in the ICU. Yusuf Amer, father of the captive, appealed to the president of the Palestinian Authority Mahmoud Abbas along with human rights institutions to intervene urgently to pressure Israeli occupation authority to save the life of his son and to allow his family to visit him. Prisoner Amer was shot by Israeli soldiers during his arrest after he had attempted to carry out an anti-occupation stabbing attack on February, 24 at Gosh Etzion junction in Bethlehem. Palestinian prisoners in the Gilboa jail on Wednesday returned meals in protest at Israel’s isolation of 14 detainees. According to the Palestinian Prisoners Society (PPS), the Israeli prison authorities have been locking up those detainees in solitary lock-downs under the pretext that they represent a threat to Israeli security. PPS spoke up for detainee Abdul Rahman Othman, held in Israeli solitary confinement since March 10, 2013. 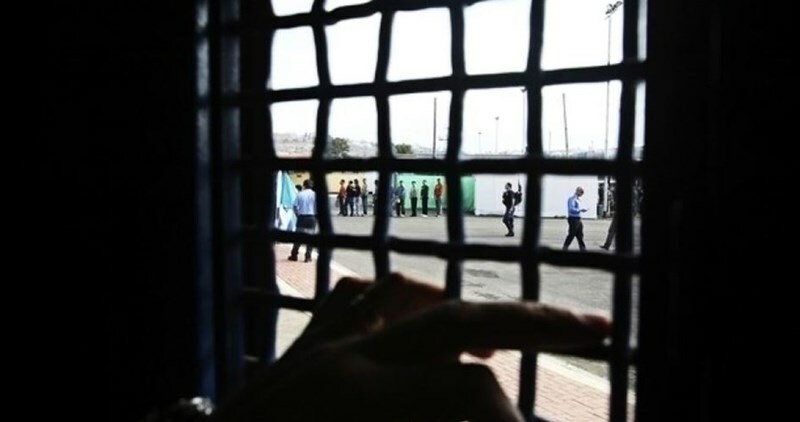 PPS added that the isolated Palestinian detainees have been held in different Israeli prisons, including Megiddo, Ashkelon, Nafha, and Eshel, in very dire circumstances. The Israeli police said it had arrested, in cooperation with the Shin Bet, a Palestinian electronics and software engineer accused of hacking into broadcast feeds from Israeli air force drones. A police statement named the suspect as Majd Ouida, 22, from the Gaza Strip. 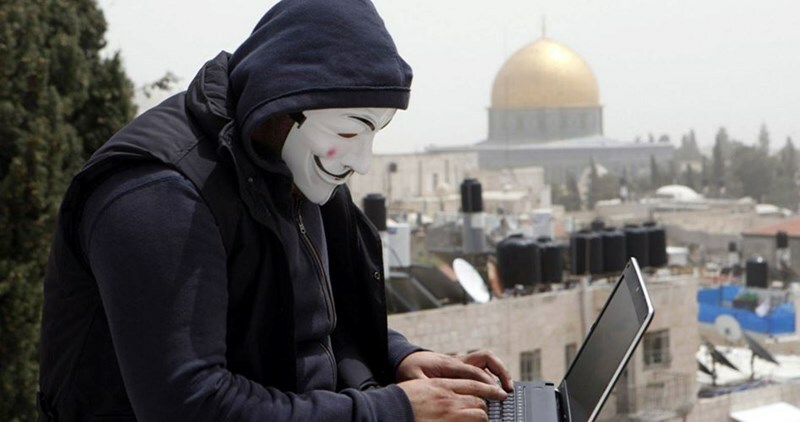 Spokeswoman for the police Luba Samri said that Ouida faces multiple charges for his actions, including espionage, conspiracy to commit a crime, computer hacking and transferring information to an enemy with the intent to harm Israel's national security. Samri added that Ouida, who heads the "Palestinian talents society," was arrested on February 23 while en route from Gaza to the West Bank to attend a meeting with young candidates on a television singing contest. According to the indictment filed against him, the detainee was able to hack into the Israeli army's network of drones, code a computer program that enabled the viewing of road cameras, obtain information on the movement of Israeli forces and civilians during wars on Gaza and rocket strikes. Furthermore, he is claimed to have developed an application that compiled information on the movement of planes at Israel’s Ben Gurion international airport, which enabled him to gain access to passenger manifestos, plane weights and makes, and takeoff and landing times. 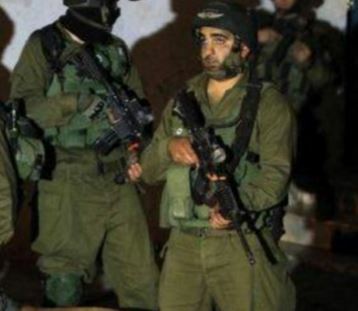 Israeli soldiers invaded, on Thursday at dawn, the West Bank districts of Ramallah and Jenin, searched several homes and kidnapped five Palestinians. The army invaded Silwad town, east of the central West Bank district of Ramallah, surrounded many neighborhoods and invaded them, before violently searching homes. The soldiers also used military dogs in the search. Local sources said the soldiers kidnapped Mos’ab Ahmad Hamed, 26, and Waleed Daoud Hammad, 22, and took them to an unknown destination. In addition, dozens of soldiers invaded Ya'bad town, southwest of the northern West Bank city of Jenin, searched and ransacked homes, and kidnapped Yasser Mohammad Ali Amarna, his brother Hazem, and Forsan Khaled Amarna. The soldiers also invaded the home of Khaled Zobeidi, before forcing him and his family out in the cold, and searched the property. At least three Palestinians were kidnapped by the Israeli occupation forces (IOF) in a mass-abduction sweep launched across Jenin province at dawn Thursday. Reporting from Jenin, a PIC news correspondent said the IOF soldiers broke into Palestinian homes at the crack of dawn in a remarkably frenzied manner and cracked down on the Palestinian inhabitants. 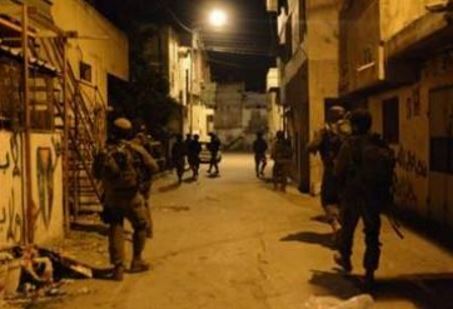 The IOF further stormed residential neighborhoods near Yabad’s town and aggressively attacked Palestinian civilians. The campaign culminated in the abduction of three Palestinian youngsters from their own homes in the city. The arrestees were identified as Fursan Amarneh and the two brothers Salem and Hazem Amarneh. The IOF soldiers came down heavily on the captives’ parents and relatives and wreaked havoc on their family homes. The occupation troops further cordoned off the nearby Arraba town at dawn time and pitched a military checkpoint in the vicinity of the former Dutan military camp. Israeli soldiers kidnapped, on Wednesday evening, a Palestinian man near the northern West Bank city of Qalqilia, and a child near Bethlehem. The soldiers kidnapped Emad Suleiman al-Khouly, 28, from Azzoun town, east of the northern West Bank city of Qalqilia, and took him to an unknown destination. The Israeli army said the Palestinian was walking “close to the Maale Shomron colony," built on Palestinian lands, east of Qalqilia. In addition, the soldiers kidnapped a Palestinian child, as she was walking near the Gush Etzion Junction, south of the West bank city of Bethlehem. The child, 14, who remained unidentified until the time of this report, is from Beit Fajjar town, south of Bethlehem. The Israeli occupation forces (IOF) on Wednesday evening kidnapped a Palestinian child at a military checkpoint pitched on the western entrance of Beit Fajjar town, in southern Bethlehem city. Local sources said the IOF kidnapped 14-year-old Salwa Jamal Taqatqa from Bethlehem's southern town of Beit Fajjar, in the southern West Bank, and dragged her to an unidentified destination. Over recent days, the Israeli occupation soldiers have cordoned off Beit Fajjar and sealed off its main entrances with military checkpoints.